A wool for all seasons, Merino keeps you warm when it’s cold and wicks away moisture from the skin when it’s hot. With super-soft lightweight fibres Merino is great for layering and wearing out on chilly Autumn walks. Merino is both finer and softer than traditional wool, offering breathability and luxurious comfort. 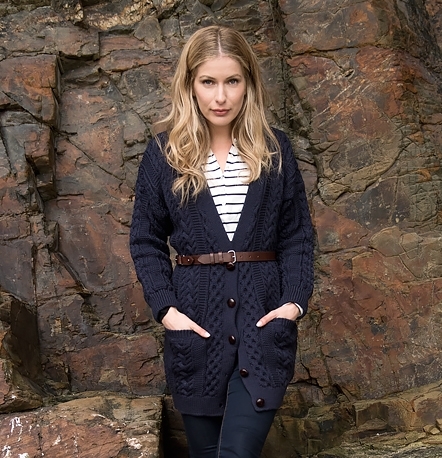 The finest lambswool, Geelong is a super-soft, strong, durable yarn. Regarded as the finest and softest sheep wool, Geelong fibres are spun so they criss-cross one another and trap more air, giving warmth, softness and volume for less weight. Geelong is one of the most sought after yarns due to its beautiful soft feel. Ultra-light and ultra-soft, Alpaca wool is rich, silky and incredibly warm. Its itch free fabrics allow it to be worn close to the skin without causing irritation. Alpaca fibre has been an increasingly popular choice in recent years, warmer than sheep wool it is perfect for cozying up on cold days.